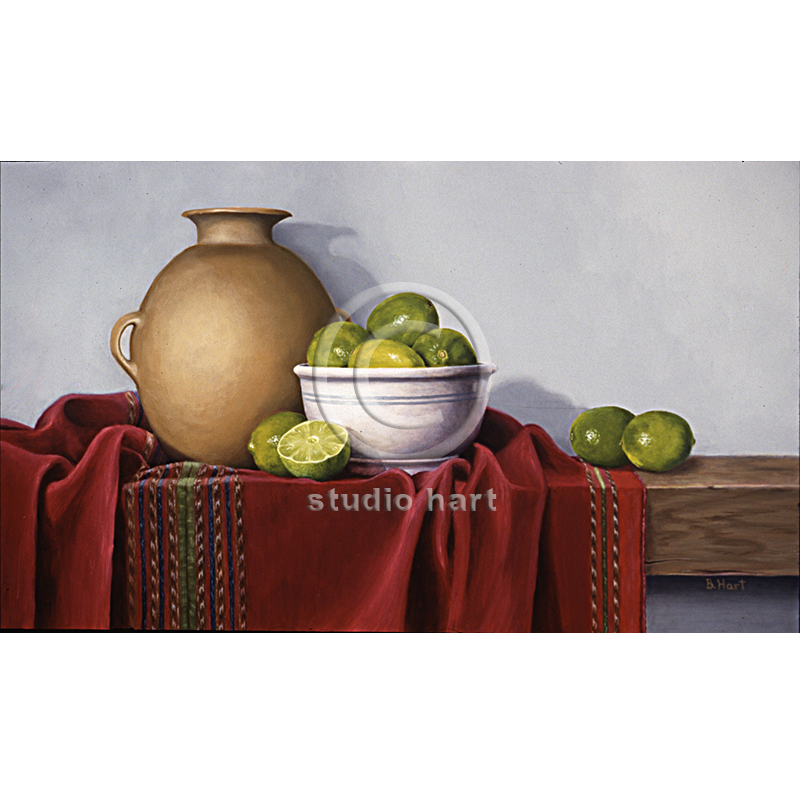 When I first started painting still life’s I was in two southwestern galleries. Many of my first paintings featured pottery and handwoven tapestries from Peru. I always liked the rich colors of this particular painting. Materials: Original oil on birch panel.